Don’t let the somber expression fool you. He’s dremmelling. Do you have to incinerate your brain before they let you write for the New York Times–or is it enough just to shred all decency? Like Walter Duranty so infamously did in the 1930s, appointing himself America’s cheerleader for Josef Stalin. Times columnist Thomas “I love Red China and I have two swimming pools, count ’em!” Friedman was on TV this week to warn us that Donald Trump is going to destroy America and only the Democrats can save it (https://www.realclearpolitics.com/video/2018/05/29/morning_joe_panel_with_tom_friedman_the_worst_democrat_is_better_than_the_best_republican.html). First he tries to pass himself off as something other than a rug-chewing leftid: “I have a lot of conservative leanings” [7-minute laugh break]. F’r’instance, he supports globalization. That makes him a conservative? Good grief. The worst Democrat. How would you even begin to decide who that is? Bill or Hillary? Obummah? Schumer, Pelosi, Warren–there must be hundreds of strong claimants to the title of “Worst Democrat.” I ought to have a contest: who do you think is the Worst Democrat? But then if your model is China, you would inevitably be a Democrat. 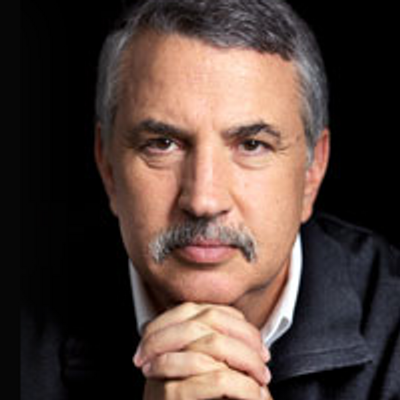 This entry was posted on Thursday, May 31st, 2018 at 11:23 am	and tagged with 2018 midterm elections, Friedman admires China, politics 2018, raving left-wing newsmen, Thomas Friedman, who's the worst Democrat and posted in news. You can follow any responses to this entry through the RSS 2.0 feed. A good demorat never met an oppression he didn’t like, which is why Jesus reminded us to keep to the right in John 21:6 And he said unto them, Cast the net on the right side of the ship, and ye shall find. They cast therefore, and now they were not able to draw it for the multitude of fishes. The further left, the further from God.